Cambridge, UK and Pittsford, NY: Modifying a factory based on 2D legacy drawings can be risky. Mistakes caused by omissions or a lack of 3D clash detection can incur huge costs during construction. CAD Schroer’s new factory modelling service prevents such painful problems. 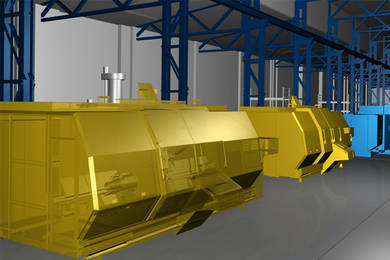 The service speeds up projects, easing the transition between 2D drawings and a 3D factory lifecycle model. Clients can focus on planning changes, rather than on the CAD data needed to proceed. 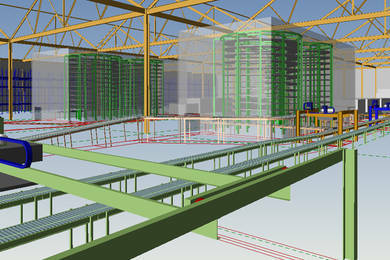 Bill adds, “The model created is based on existing data (scanned drawings, 2D CAD data, 3D machinery models). We report and resolve inconsistencies we find along the way. 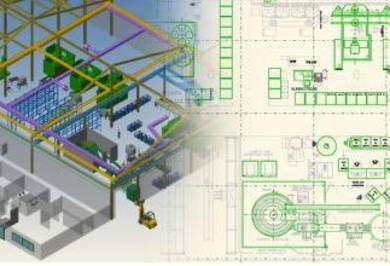 Where no up-to-date drawings exist, laser scanning can provide the data needed for a model.” CAD Schroer delivers the factory model and the software needed to plan changes. Users edit project data interactively in the 2D layout or 3D spatial design environment. Hard and soft clash detection and consistency checking ensure accuracy.